This kit includes 223 red laser bore sight and all 16 arbors for a full kit. 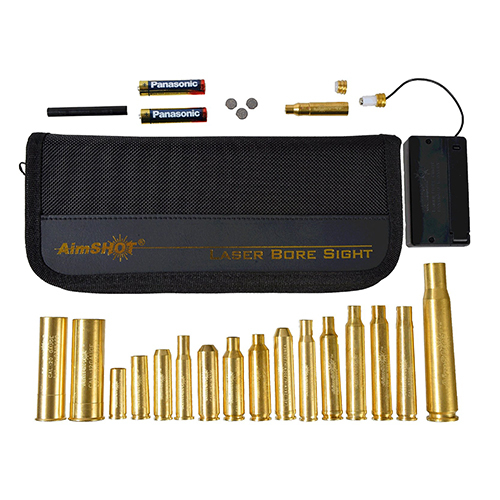 You will be able to bore sight most standard SAAMI calibers with this kit. It comes in two zippered pouches the two AAA batteries will power the red laser for hours.